Famed for its pulsating nightlife and its pristine white sands, Ibiza has been a popular package-tour destination for a number of decades. However, it also has a fascinating history dating back to the middle of the 7th century BC, when the island was founded by the Phoenicians. The name given to the island at the time was derived from the Phoenician word 'iboshim', in honour of the god 'Bes' - a god of dancing and music. 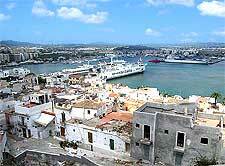 Thus, the history behind the island's name is quite apt given its popularity as Europe's dance and clubbing capital. 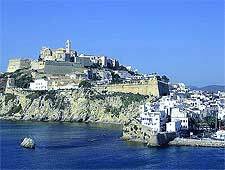 Some of the island's best-known historical sites can be found in the 'Old Town' of Ibiza Town (Eivissa), the capital of the island, which overlooks a UNESCO-recognised port. After Ibiza's founding, the Phoenicians controlled the island for many years until they were eventually overwhelmed by Assyrian invasions. This led the island to come under Carthage rule, a period in which early trade was established. This trade tended to be based on items such as wool, garum (a strong fermented fish sauce) and salt. By the year of 400 BC, Ibiza had become a very significant and successful Mediterranean trading post. In 209 BC, the island came under attack during the Second Punic War, but its Carthage rulers held firm, for a while at least. Eventually however, Carthage had no choice but to sign a treaty with the powerful Romans, allowing the island to become part of the ever-expanding Roman Empire. Those wishing to gain an insight into the Carthaginian-Punic civilisation should be sure to search out the Punic necropolis of Puig des Molins. Located in Ibiza Town and on the Carrer de la Via Romana, the necropolis also has its own museum. Following the fall of the Roman Empire, there were short periods under Vandal and Byzantine rule, before Ibiza was captured by the Moors. 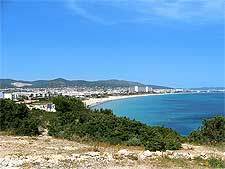 It joined the mainland city of Dénia (in the province of Alicante) as part of the independent Islamic state known as Taifa of Dénia. Moorish rule lasted until the first decade of the 12th century, when the island was invaded by Norwegian crusader and king, Sigurd I, on his way to Sicily and Jerusalem. After the island's takeover by Aragonese King James I in the middle of the 1230s, it remained self-governed for the next 500 years or thereabouts. The cathedral in Ibiza Town was one of several famous structures to be built during this period in Ibiza history. Of note, this Gothic-style church features a number of famous art works. 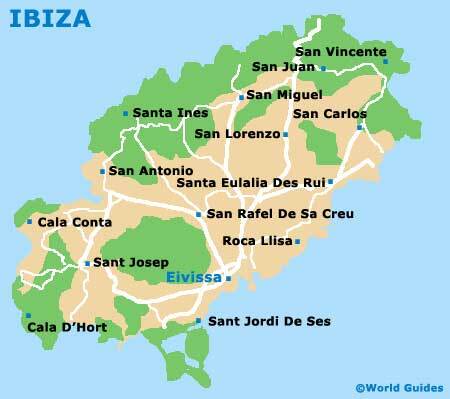 Ibiza eventually had its autonomous rule abolished in 1715, by the Spanish monarch King Philip V. However, autonomy returned to the island in the 1970s, when it joined Formentera, Mallorca (Majorca) and also Menorca in forming the Balearic Autonomous Community. This administrative change also coincided with the start of Ibiza's transformation from a sleepy fishing island into a thriving tourist destination. 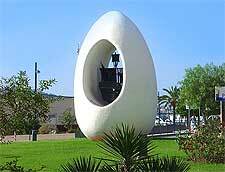 Built in the 1990s, 'The Egg' is perhaps the most notable modern landmark residing in San Antonio (Sant Antoni), one of Ibiza's most popular resorts. It is a much-used meeting spot among clubbers who have become separated from their friends, but also tells an interesting story relating to the history of Ibiza. The Egg was constructed to pay homage to Christopher Columbus, who some say was born on the island. It serves as a home to a scale replica of his ship, the Santa Maria, which is displayed in its centre.